Kumihimo is the Japanese form of braid making. The most prominent historical use of the cords was by samurai as both a functional and decorative way to lace their and their horses' armor. Kumihimo cords are now used as ties on jackets and obijimes, which are used for tying on an obi or kimono sash. They also make beautiful necklaces. 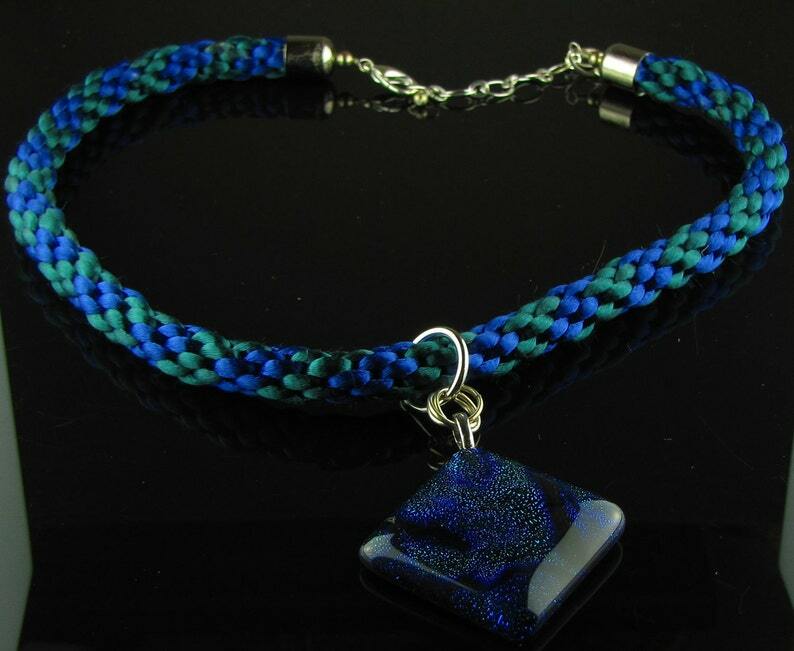 The 16 cord rayon satin braid is a created from blue and green cords that pick up the colors in the lovely dichroic glass pendant. The necklace is adjustable from 17 1/2 to 20 inches in length and the findings are silver.